Whether you’re in between meetings or exploring one KC attraction after another, the city touts a diverse offering of dining experiences sure to satisfy midday cravings. 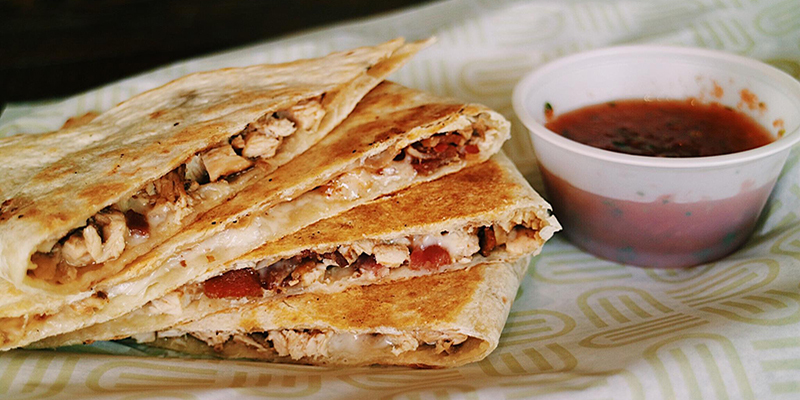 A lunch classic. Fresh and fast, this salads and sandwiches shop sources local ingredients to make meals that are both hearty and healthy. Find it in the Power & Light District, near the Country Club Plaza or in Overland Park. 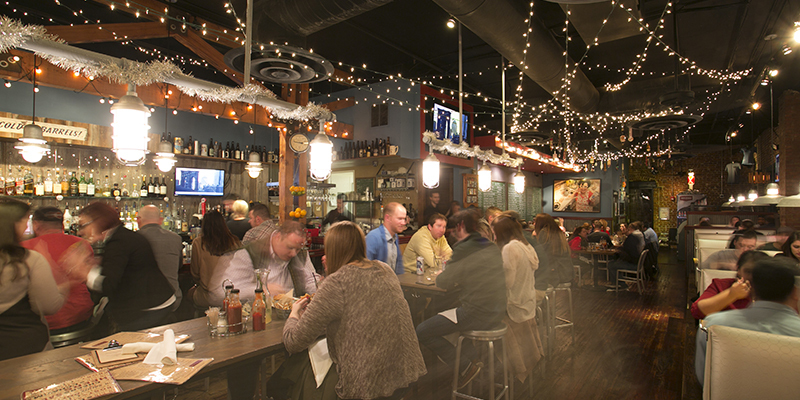 Quickly becoming a go-to favorite in the heart of Downtown KC, Plowboys is an award-winning, competition-style barbecue joint that serves up smoky classics like burnt ends, pulled pork and ribs. 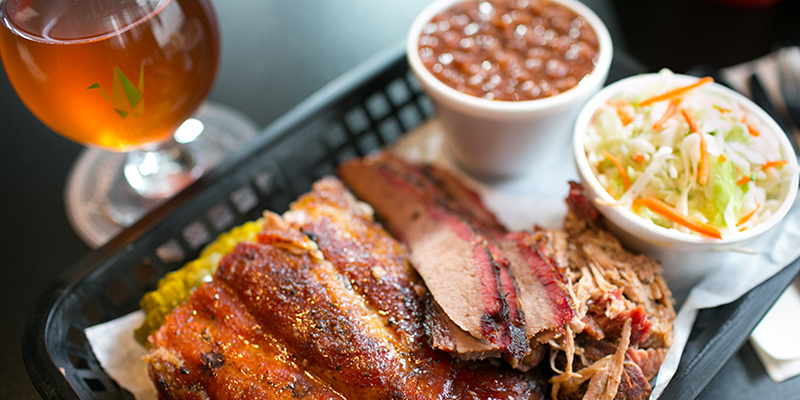 Get your ‘cue fix in combos, by the pound or loaded on nachos and the like. 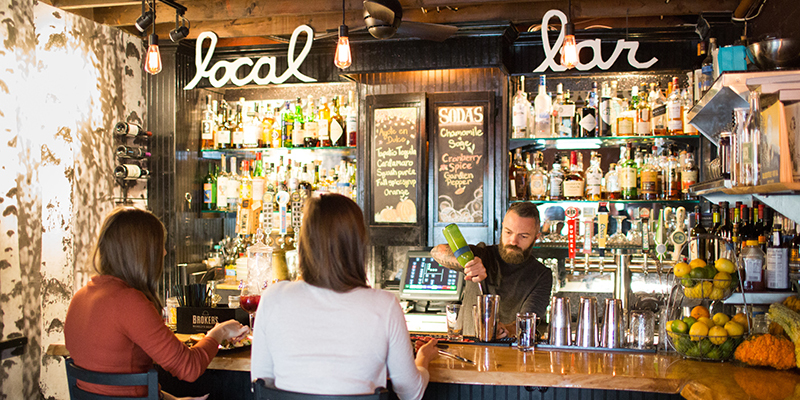 Farm-to-table fare wins big at The Westside Local, a hip hotspot in the Westside neighborhood. The menu changes with the season, but diners can expect a diverse mix of sandwiches, salads and other items, all using regionally sourced ingredients. 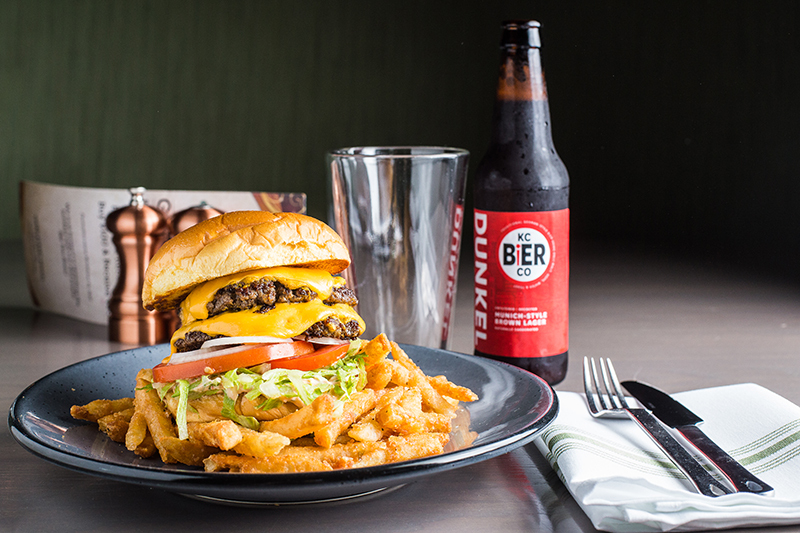 American comfort food is the name of the game at Beer Kitchen, a Westport gastropub where breakfast is an all-day sort of thing, the burgers are as creative as they are delicious and the mac & cheese options are nearly endless. 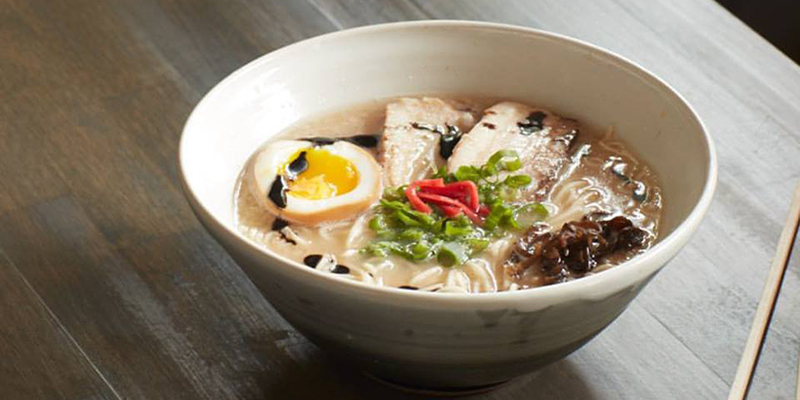 Ramen’s emergence in KC’s dining scene is bolstered by Shio Ramen Shop, a cozy Midtown restaurant that utilizes homemade noodles in a simple, savory menu perfect for lunch any time of the year. Expect farm-fresh everything at Happy Gillis, a funky Columbus Park café known for its craft cuisine. 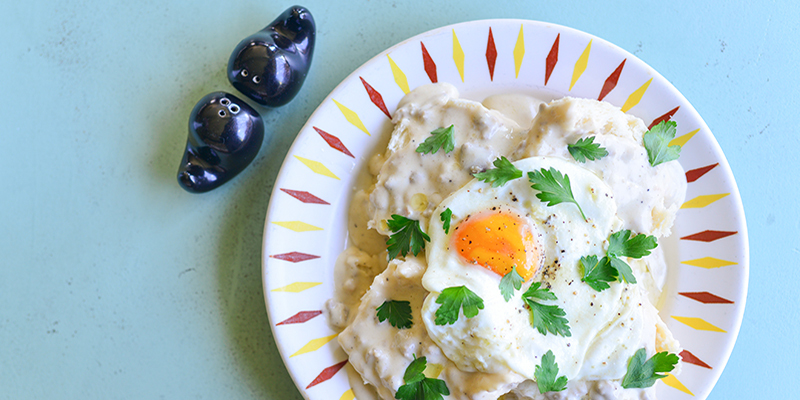 Locally sourced ingredients are key to every dish here, whether you’re chowing down on biscuits and gravy (served all day), a smoked trout sandwich or something in between. 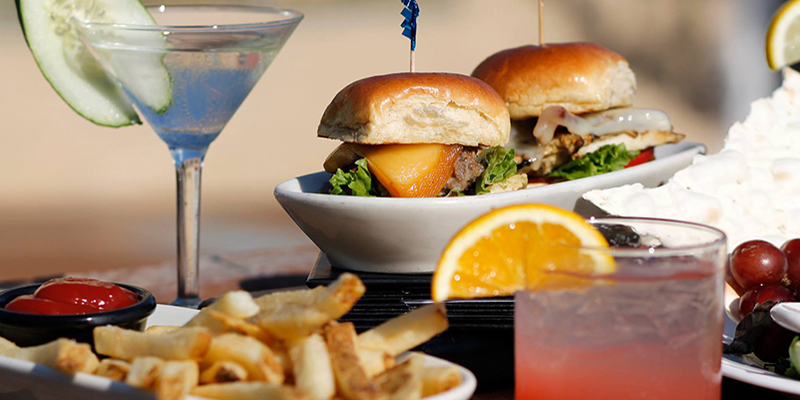 Lunch staples are the standard at the Classic Cup Café, a Country Club Plaza standby. Try anything from the lamb gyro or porcini mushroom ravioli to something lighter, such as soup or a seasonal salad. Chef-driven dining meets unrivaled atmosphere in one of the most popular lunchtime spots in Lee’s Summit. Variety is key here, which is why you can order anything from Korean steak tacos and braised Duroc pork shoulder to a roasted beet salad or a truffle grilled cheese sandwich. 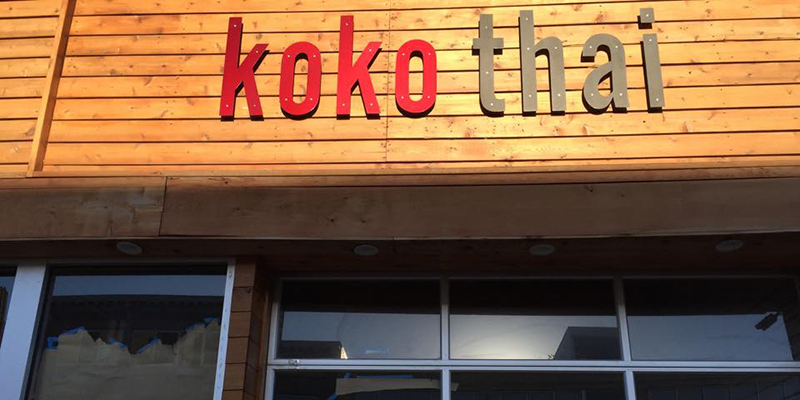 Native to the Crossroads Arts District, this popular eatery melds Thai street food with family recipes, resulting in a satisfying fusion of flavor that’s sure to keep you full through no matter what you’re up to. 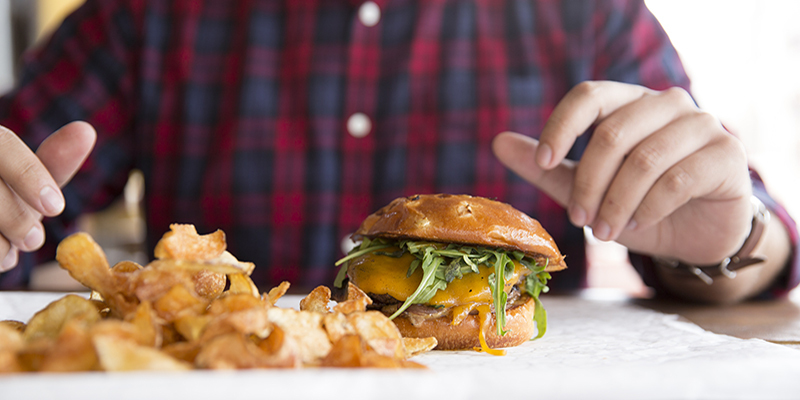 Found in both Crown Center and Overland Park, each visit to this fast-casual establishment is a totally different experience thanks to seasonal, health-conscious ingredients—but count on mainstays such as tacos, burgers and salads to get you through the day. 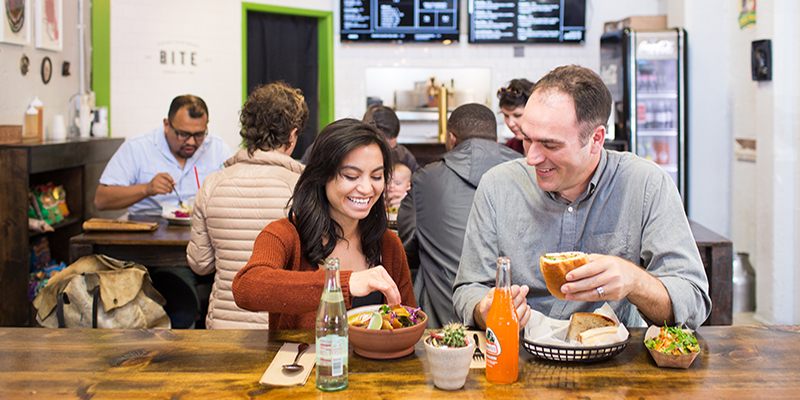 The City Market specialty blends Mexican and Korean flavors in a one-of-a-kind lunch experience. 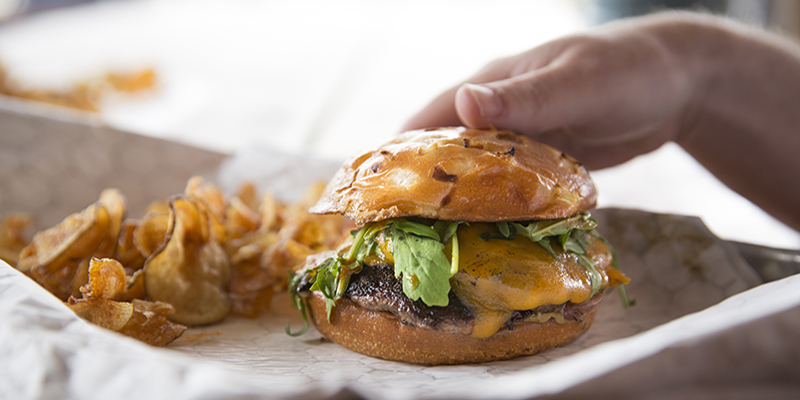 Plus, with dish names like Señor Chang, Boss Hog and Fresh Off the Boat, how can you resist the temptation to try? A gathering place for watch parties and during big-time events at KC Live! 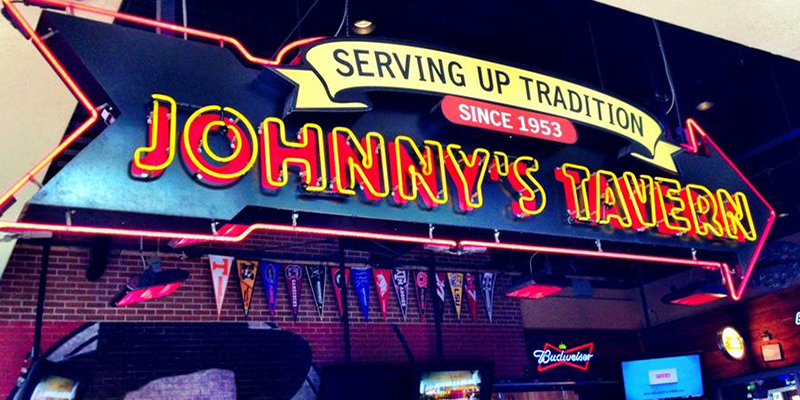 Block in the Power & Light District, Johnny’s is the hometown sports bar Kansas Citians deserve. 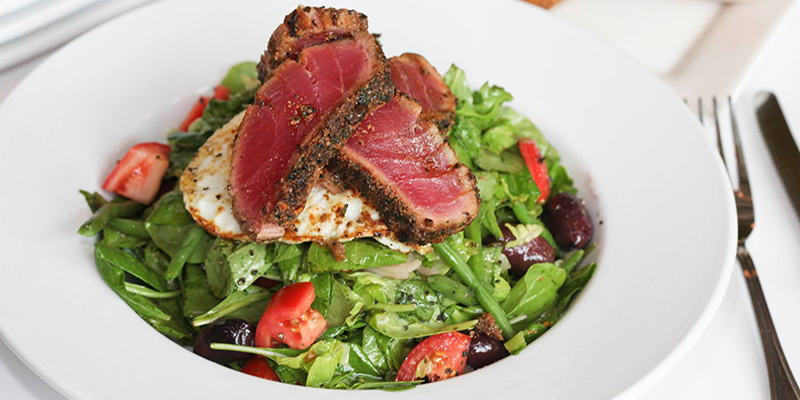 No lunch is the same thanks to its expansive menu of have-it-your-way dishes and pub favorites. With 16 delicious stops, the free and modern transit system connects some of Kansas City’s most diverse culinary offerings. KC’s cocktail scene is supremely cool and infinitely creative, which, not coincidentally, are two ingredients essential to any of the drinks these places serve.